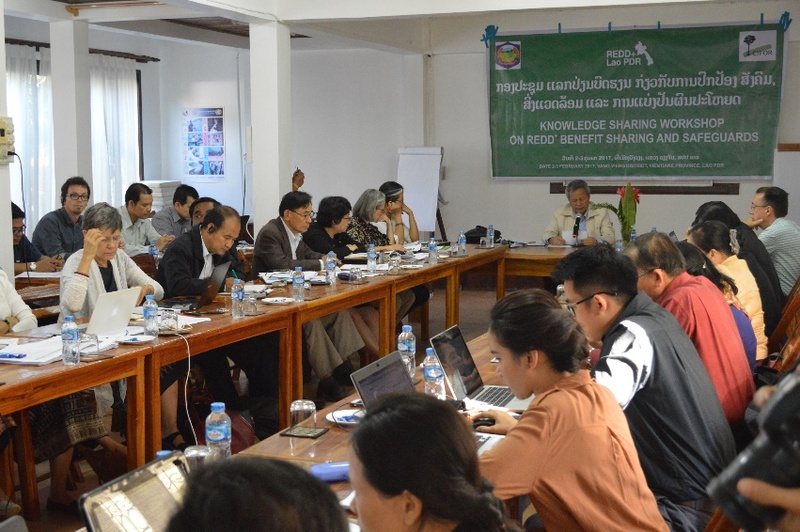 A knowledge sharing workshop on REDD+ Benefit Sharing and Social and Environmental Safeguards was held in Vang Vieng from 1-3 Feb 2017. The workshop was chaired by Mr. Somchay Sanontry, Deputy Director General of the Department of Forestry with a total of 38 participants from different institutions such as the National REDD+ Office, various REDD+ Technical Working Groups with inputs from Center for International Forestry Research (CIFOR) and development partners supporting the REDD+ Readiness process in Lao PDR (FCPF, CliPAD, F-REDD). The objective of the workshop was to exchange lessons learned on REDD+ Benefit Sharing and discuss on Social and Environmental Safeguards issues with Lao PDR REDD+ policymakers and practitioners from over seven years of REDD+ research at CIFOR supplemented by project inputs, group discussions and a role play. CIFOR’s research aims to provide REDD+ policymakers and practitioners with policy options and guidance to improve the design, development and implementation of REDD+. 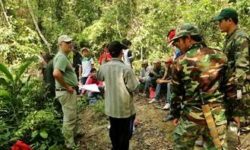 These research findings provide useful inputs for the process of developing Lao PDR’s National REDD+ Strategy including a REDD+ Benefit Sharing Mechanism and a Safeguards Information System (SIS). The workshop provided an opportunity for the Technical Working Group (TWG) members to further discuss these issues, which they have already begun to analyze. The meeting provided time for participants also to discuss the national “hotspots” of deforestation, and how this information should guide the choice of sites for field consultations of these TWGs to conduct the Strategic Environmental and Social Assessment (SESA).